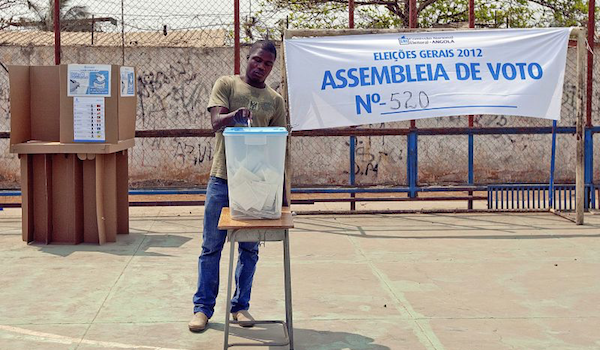 Members of Angola’s National Electoral Commission (CNE) have described how the legal procedures for collecting and tabulating the results of Wednesday’s election were flouted by officials who reported favorable results to the MPLA, with no indication of how these results were calculated. Opposition leaders have accused MPLA of inventing the results. The reports of malpractice come as opposition parties release the results of parallel counts, calculated by adding up the results posted at individual polling stations. These parallel counts show the MPLA in first place, but without an outright majority. The CNE began to announce the preliminary election results on Thursday afternoon, before results from the provinces had been approved either at local level or by the National Counting Center. According to the numbers the CNE announced, the MPLA won a majority with 64.57%, more than double the total of UNITA, which was in second place with 24.4%. CASA-CE took third place with 6.45%. The president of the opposition Social Renewal Party (PRS), Benedito Daniel, described the results as “completely false”. In contrast to previous elections, results were not projected onto a screen, but the CNE spokesperson, Júlia Ferreira, simply read them out from loose sheets of paper in a folder. She did not even answer questions. “She read what she read,” one journalist said. Results were read aloud at the National School of Public Administration in Morro Bento, although the National Tallying Center is at the Talatona Convention Center, some kilometers away. The press conference served to keep the journalists away from the counting center. In the 1992, 2008, and 2012 elections, the results were projected on screens put up by the CNE, and updates could be followed on television and other media. The National Counting Center is better equipped than ever before, and has these means at its disposal. Members of the National Electoral Commission board, and political parties agents were at the counting center until 2 am on Thursday, and left only for a few hours. Throughout the day they have noted no signs of results being tallied in the counting center. 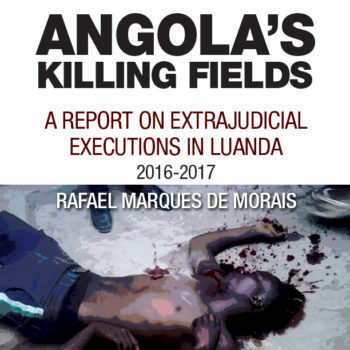 A senior CNE official, who prefers not to be identified, confirmed to Maka Angola what is happening at the National Tallying Center, where hundreds of people are employed. “I have not yet seen a single fax at the center. All the time I’ve been here, I was only sending and receiving test pages from before the elections. I do not know what to do. I have also seen a single tally [whether from a voting table or a voting station], the official said. “The US delegation visited, having got the permission of the State Security official stationed at the center, so they would be impressed. Apart from that, we have no more information, “the same official said. One might argue that communications between the CNE and the rest of the country have been difficult. But let us look at what happened at the Provincial Tallying Center in Luanda. “We have been here since yesterday morning (August 23) in the room next to the tallying room and up to now no member of the electoral commission has access to the approval of data,” one of the commissioners said. “We have been sitting since yesterday looking at the map that gives us zero results. We are hearing the CNE’s projection, which seems to come from another galaxy. It’s unbelievable, “the commissioner added. “We [members of the National Electoral Commission Board] had to confirm the results by verifying the results lists and ratifying them with our signatures. Only in this way will the results be announced, “the commissioner explained. Unlike previous elections, the opposition has managed this time to present a vote count as an alternative to that which the MPLA and CNE released to local and foreign media without supporting data. According to the parallel count, done on the basis of the results posted by each voting station, UNITA claims that the MPLA has only a narrow lead. Based on 1.2 million votes – approved in the tallies from polling stations, which are produced by the CNE and signed by the polling station clerks and representatives from the contesting parties – the MPLA was ahead with 47.6% of the votes counted. UNITA followed with 40.2%, CASA-CE with 9.15%, and three other parties with the remaing percentage. This count shocked the MPLA. In reality, although it indicated a plurality of votes, it was doubtful that the MPLA would obtain 50%, and it had no chance of attaining a qualified majority. It needs two-thirds of the seats in parliament to be able to rule in a dictatorial manner and ignore that it is part of a democracy. Earlier, the MPLA secretary for electoral affairs, João Martins, announced at the party headquarters that the MPLA had won with 65% of the vote. An hour after this announcement, the CNE spokesperson herself announced that votes were not even yet being counted. The president of the PRS, Benedito Daniel, said his party was conducting a parallel vote count, based on the results that his party delegates obtained at the polling stations. Thus far, the provinces have not yet confirmed the local results and have therefore not communicated them to the CNE. So, where did the CNE get the data from? The information given by the CNE cannot be considered valid without the legal confirmation of the results in the presence of the contesting parties, as provided for in the law. Additionally, up until mid-afternoon on Thursday, the Municipal Electoral Commissions had not sent any data to the National Tallying Center in Luanda because they had no orders to work. It is known that on Wednesday, the CNE suspended the scrutinizing of votes owing to politically motivated orders from above, when the predicted outcome started to look as if it might go against the MPLA’s plans. Across the country, bizarre situations arose during the voting process. For example, according to the electoral commissioner, Muanauta, electoral officials in Camaxilo commune, Caungula district, Lunda Norte province, only started working after 6pm, and the local population of eight villages refused to vote in the dark. In Cafunfo in Cuango district, Lunda Norte province, the former administrator of Luremo commune and the local MPLA secretary removed the ballot boxes from polling stations 7809 and 7813, and took them away without anyone stopping them. In any case, the last vestiges of the MPLA’s democratic legitimacy fell away as soon as the party felt threatened by the emerging results. The party therefore ordered the counting to stop and announced a victory with a ‘qualified’ majority. It qualified only as fraud. 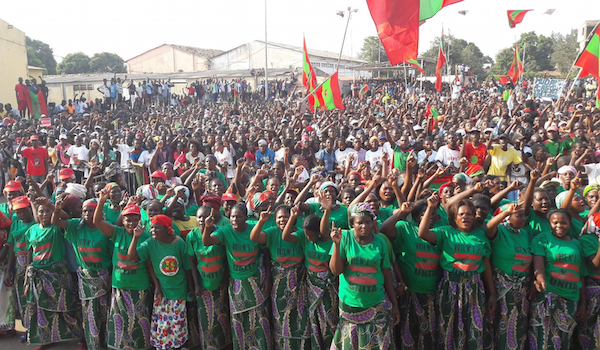 “Angolans voted in a calm and civilized manner,” said UNITA representative José Pedro Katchiungo. “We will confront the CNE and demand an explanation of how it arrived at these results. No one should create a disturbance, just do not give the MPLA a pretext to get out of this through violence,” he insisted.